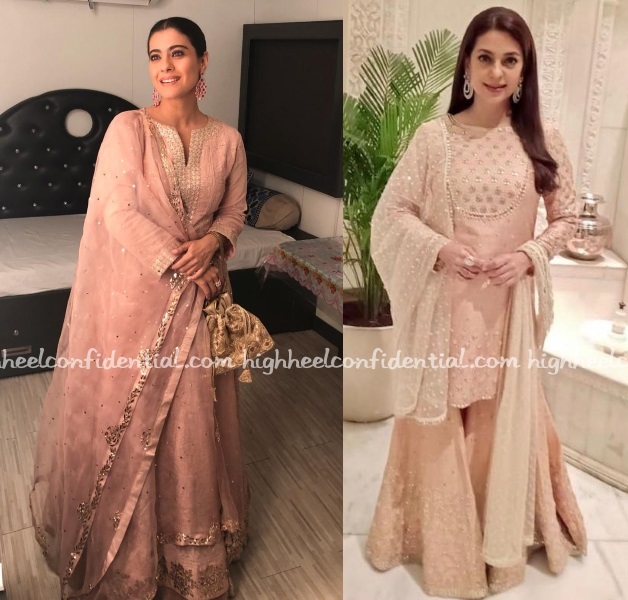 Love Kajol’s look.. her outfit, makeup & hairstyle perfectly compliment each other..
though Juhi looks pretty- I find her hairstyle very dated ( reminds me of the 90s) & personally dont like this gharara/sharara style. 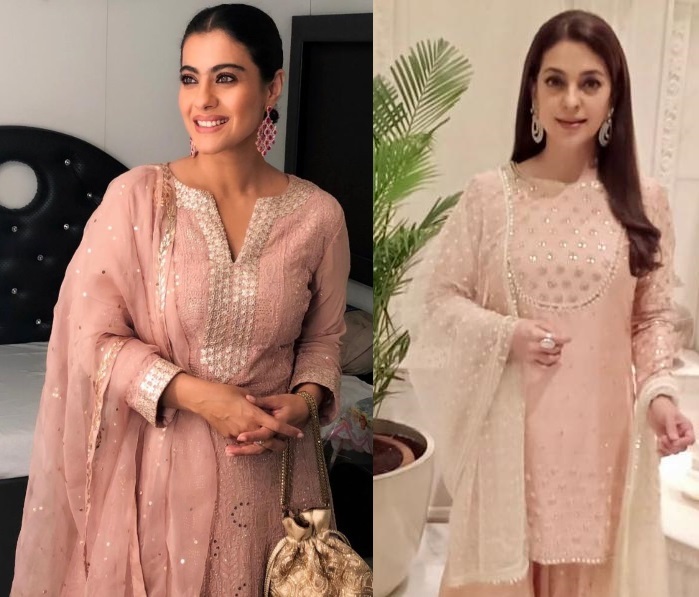 Kajol’s look is a real teat to the eyes…Minimal bling! Easily the best dressed of the evening both these ladies. While a lot of other ladies looked good- these two kept defined understated elegance. And I LOVE juhi’s Outfit! Both look lovely. I would wear Juhi’s outfit in a heartbeat. Thank you ladies for some relatable Diwali looks. Wow! Juhi is looking so beautiful. This was a eye candy party for us. Love Kajol’s look. Well put together and those earrings are a killer. Juhi looks washed out in the color. A darker colored set of accessories would have lifted the look. They both are the best dressed at these events. Both look lovely. Kajol look so nice. She has aged the best….correction….she hasn’t aged at all ! And Shahrukh aged so badly. So much contrast. 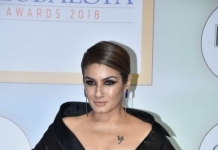 Finally Juhi did something different to her hair, and went for a under stated look. It’s been an overdose of Kajol since last 2 months. Give us a break, though she’s looking smashing.